It's never easy running vintage machines at this sort of event and there are bound to be mechanical mishaps. 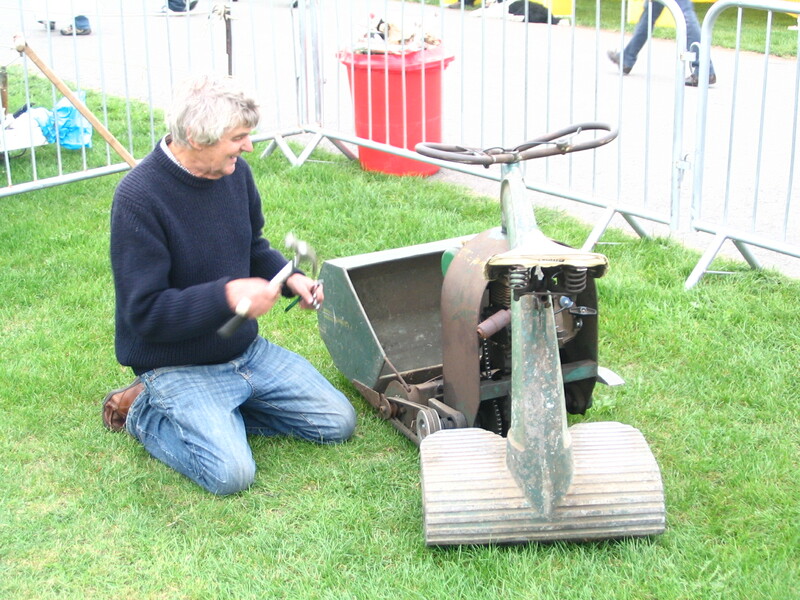 Here is the event organiser Tony Hopwood repairing his British Anzani Lawn Rider which, although usually reliable, decided to shed a bearing and drive belt on the first morning. It was all repaired in good time for action later on.